A new competition email scam has been caught by MailShark spam filters claiming you can win a brand new Holden Astra. The Holden Astra is a compact car by Holden that is only available in Australasia. Keep reading to find out more. Figure A shows the email’s contents. It is a quite well branded email featuring a picture of the so called car you can win and a blue call-to-action button which leads you through to a malicious website – be warned though as this is not the only malicious link hidden in this email. 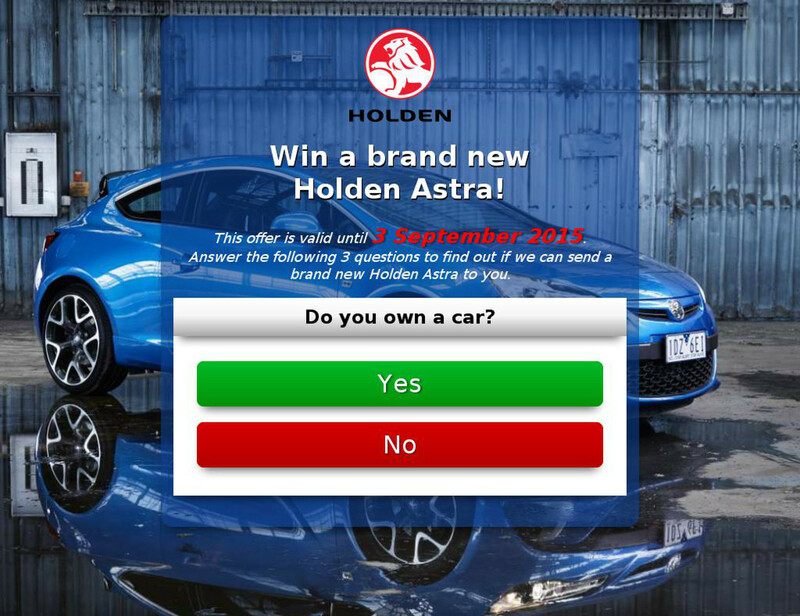 The subject line reads “Win a brand new Holden Astra!” which entices a receiver to open it and learn more. 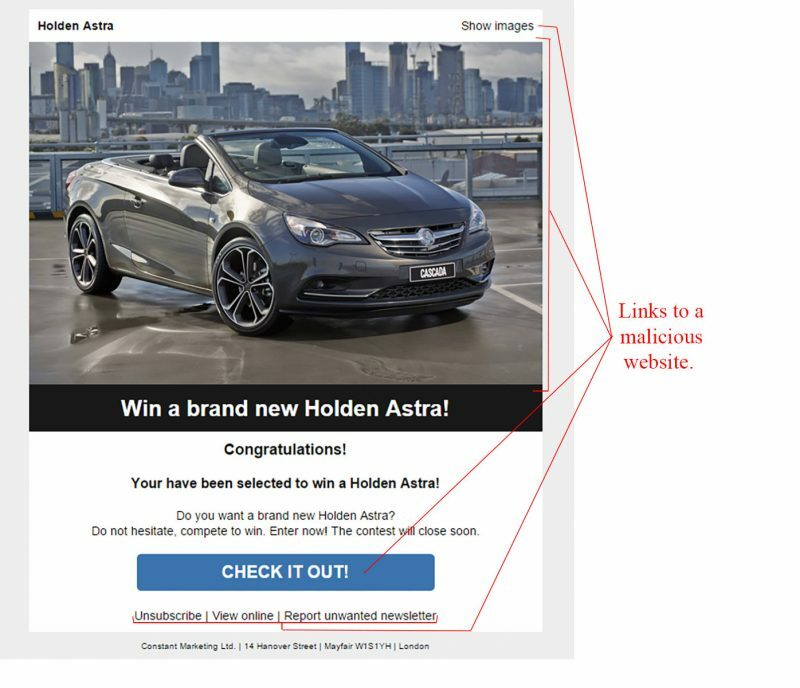 The sender is shown as “Win a brand new car!” which we would automatically identify as spam; the email address is in no way associated with the official Holden Australia website. Figure B is a screenshot we were safely able to capture of the website you will land on if clicking any of the malicious links shown in Figure A. It is a well branded and convincing webpage. Notice the date, which states that the offer was only valid until a certain date – this is a tactic to get you to click through quicker. The simple question is the most dangerous aspect on this page – clicking this or anywhere else will put your computer at risk of a malware infection. This email will lead to a malware infection if clicked. Stay safe and delete the email before being tempted to go any further as you definitely will not win a new Holden Astra!